Whether you're regular party royalty or just a happy-hour kinda guy, there is one thing most of us dread: The Hangover. 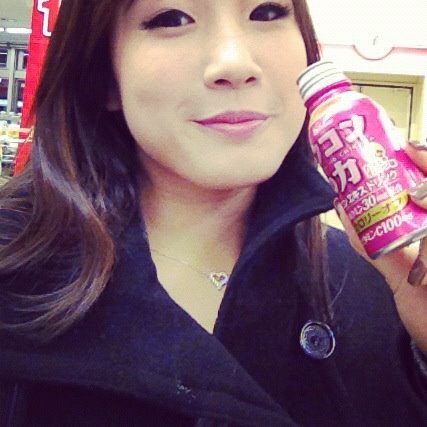 Earlier this year, the first time I tested out this supposed hangover cure in Tokyo. 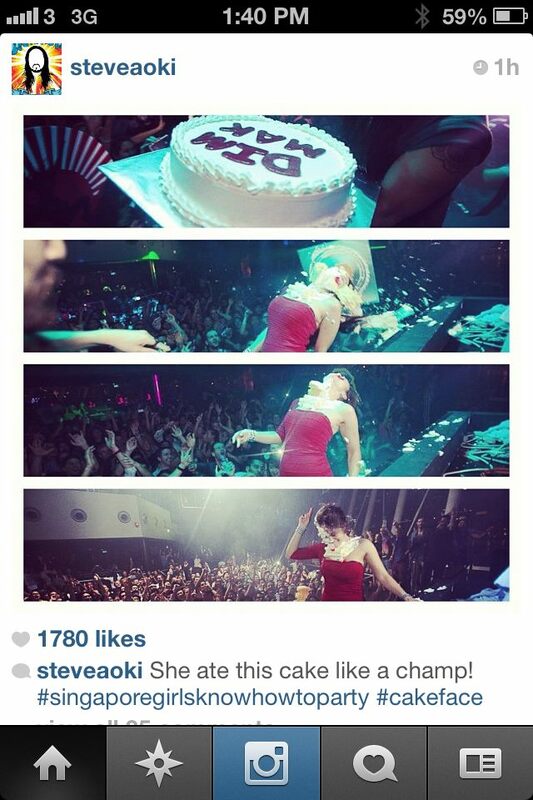 What is Steve Aoki talking about on his Instagram? Check out the video clip below. I wish I could say this was all there was to the night, but there was much more... someone accidentally knocked one of my heels into the Marina Bay, and there was a little bit of crowd surfing (thanks to Aoki). I guess there's a first time for everything... and everything that night was indeed a first time! I woke up the next morning, feeling something like the guys in the movie, The Hangover - minus an actual hangover. Kids, this is why you shouldn't do drugs. Copious amounts of vodka and champagne can do enough damage as it is! Mom, I swear this was all in the name of research. At least we're keeping to the food theme, here. As if the previous night's festivities were unbelievable enough (trust me, I do NOT do this sort of craziness on a normal basis), the lack of what should have been a raging hangover made it all the more unbelievable. Unfortunately, seeing an empty can of Ukon and dozens of images and links of my antics being sent to me the next morning confirmed the reality of it all. Click here to see my chance at revenge... 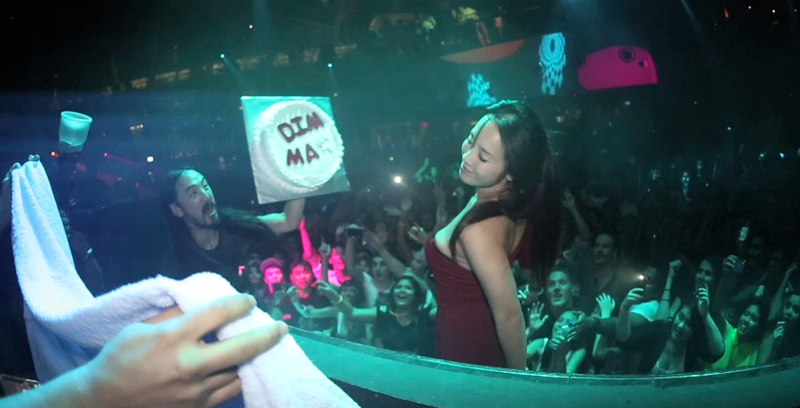 I caked Aoki BACK. Ukon Power is the Japanese salarymen's lifesaver (white-collar business men). In a culture that sees a lot of sake and beer drinking even over the weekdays, Ukon Power is sold at counters from every 7-Eleven to public vending machines. I would not recommend doing this outside of Japan. 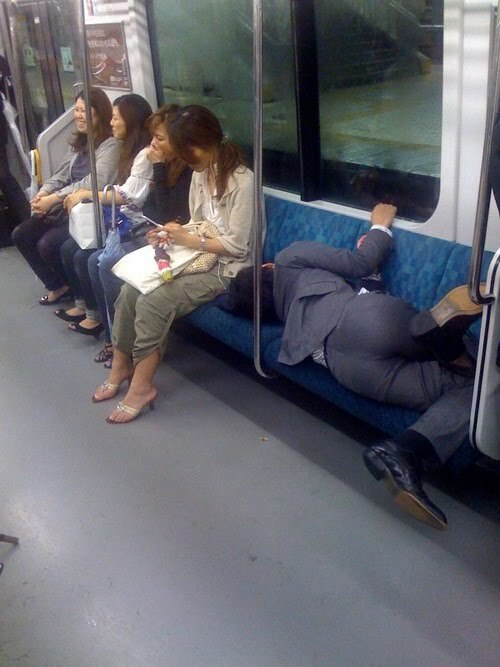 See more about the drunk Salaryman here. Saying Ukon is a hangover CURE might not be the best term. It's more of a hangover PREVENTION. The secret ingredient is curmumin - otherwise known as turmeric. My friends familiar with their spices roll their eyes whenever they find this out. Places like India have been using spices for various ailments for centuries. The curcumin "fights the free-radicals in your body caused by a heavy night of drinking that would otherwise cause you to feel like a wet mop the next morning." I don't know about you, but I'd rather just have a convenient little canister to pop open before the night gets started rather than yellowing my fingers with a homemade turmeric remedy (this spice stains a deep golden yellow very easily). Ukon Power is now being sold in Singapore! While Avalon doesn't provide Ukon (yet? ), the company so kindly provided me with a case of the goods to try out. Thankfully, I decided to give a go the night I saw Steve Aoki. Not my proudest moment in life, but I had one hell of a night... and I was still able to function the following day. ...now I just have to explain myself to my mother. 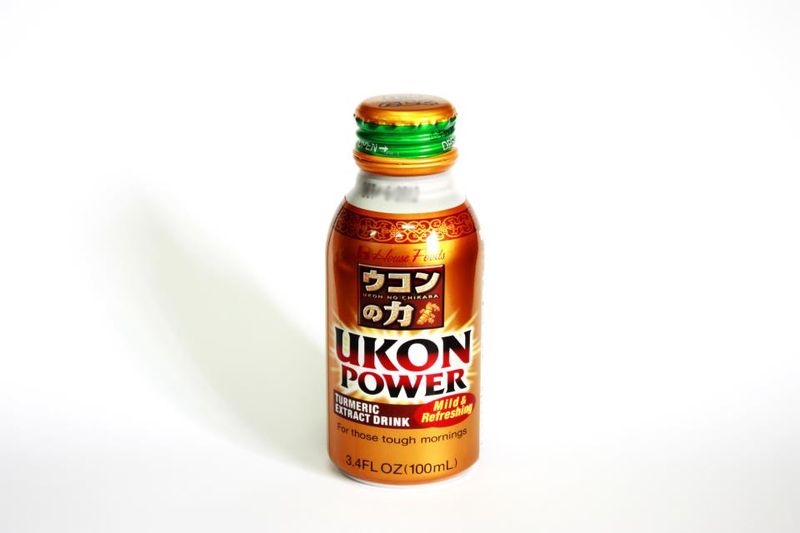 Ukon Power is available online for SGD$55 for 12 x 100 ml canisters. It is also sold at The Royal Room, Filter, Mink, Overeasy, Loof, Zouk, Attica, TAB, The Merry Men, and The Butter Factory. Visit Ukon's Facebook Page for more information. Taken before, during or right after (not the morning after - it's too late to save you by then!). You can mix it with vodka or use it as a chaser for a particularly heinous shot. I personally take one right before the night begins and another right before heading home. Wow you did take that to the face like a champ. I say make a gif of it and put it in the gastronommy banner.